We recently announced that WineCollective will be the first to provide Canadians with the Domaine of the Bee and Hart of Gold labels, produced by Master of Wine, Justin Howard-Sneyd. Based out of London, UK, we had the opportunity to Skype with Justin and ask him about these exciting products in time for the release, coming in May. Q: What led you to start your Domaine of the Bee project? A: In the early 90’s, I helped make wine as an assistant winemaker, kind of a ‘cellar rat’ if you will. I always new I wanted to make my own wine, but it was more of a matter of finding the right location. I worked as a buyer and travelled around, then in 2004, I came across the vineyards of Maury in Roussillon. Q: Why did you source vineyards in Maury for Domaine of the Bee? A: We have friends that own a block nearby and the sheer quality of fruit and wine from the area made us want to purchase the vineyard. The varieties of the vineyard were mixed so we knew they were old vines, likely 90 to 100-years-old with low yields. We’re in a small microclimate in the side valley of the larger valley so really, its a better quality. We didn’t originally have a business plan, we started because we wanted to buy the vineyard. After a few years we had enough blocks to make it worthwhile. Q: How involved are you in the winemaking process? A: I go back to Maury about 10 times a year. Of the 4 to 5 weeks of harvest, I spend about 3 there. Now that I am consulting I have more time to spend in Maury. We worked with Richard Case, who lives and works in Maury. After the 2011 vintage we have worked with my old friend from South Africa winemaking days, Jean-Marc Lafage. 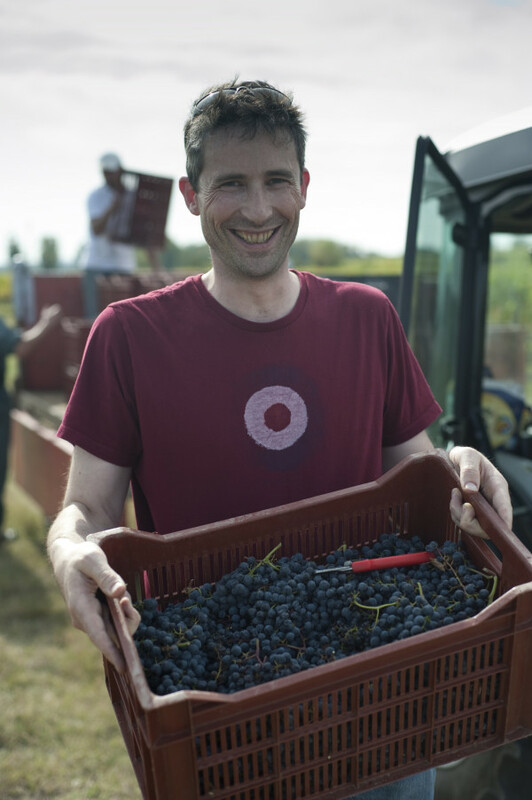 The decisions are made together and the winemaker is there in France to oversee everything. Q: Do you have a winemaking philosophy? A: I am a believer in the scientific winemaking method. I am not a believer in natural wine, although I have tasted many lovely natural wines. For me, I am also running a business. I am making a wine that my customers want and enjoy and so I aim to create a style that is consistant year after year. Domaine of the Bee is a Grenache, Carignan blend. A full flavoured red, not just a fruit bomb. It has lots of structure and character from the terroir, lovely acidity. I like the influence of oak, it is a significant component but we don’t want to make that dominant. I have found that a 1/4 or a 1/3 in new oak for the right balance. 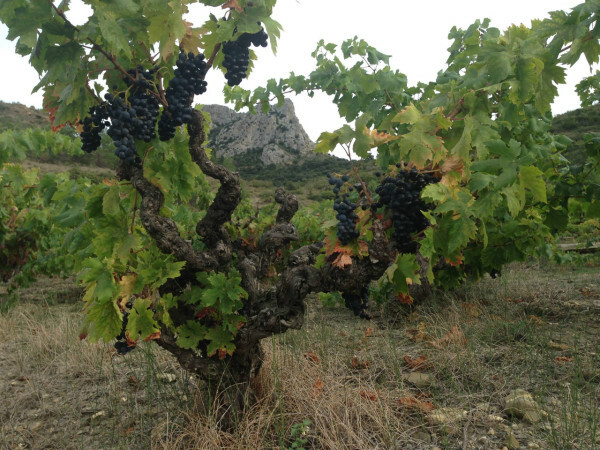 Carignan vines in Maury, Roussillon. Q: What kind of professional critics have you received? A: The majority of the wine journalists in the UK have written about the wine, all in different vintages. All feedback has been positive and I find those that don’t like the wine are consumers who like very fruit forward styles. Reliable, credible critics like Jancis Robson and Olly Smith have really enjoyed the wine and the style. Q: What inspired the Hart of Gold project? A: In 1976, when I was 10, we had a really hot summer in England. A year later, we visited my father’s friend who had made wine and it was amazingly good from the heat of that summer. That was the first vintage where people started to pay attention to English Sparkling Wine. I have always bought a lot of wines from England and watched the quality grow. 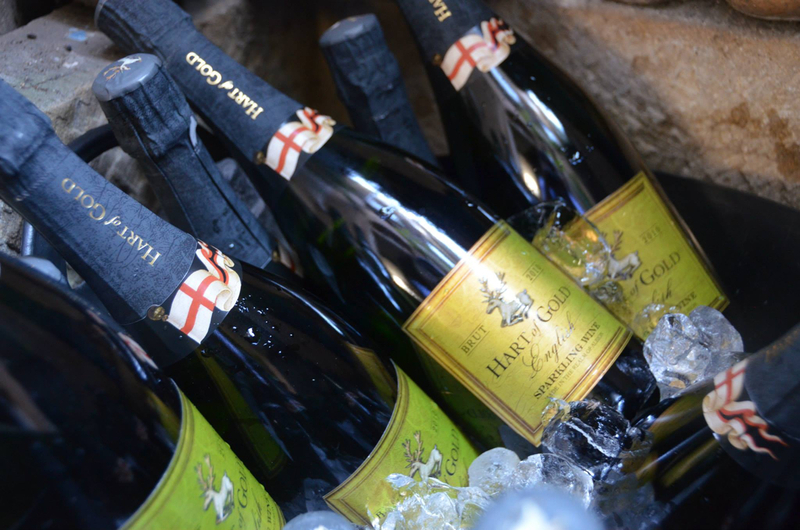 In 2010, it as clear that England was making world class sparkling that reviled Champagne. Q: Who are your partners in this project? Where are the grapes sourced from? A: It took me a while to find the right partner. We work with Ridgeview as the producer. The Chardonnay, Pinot Noir and Pinot Munier are sourced from a grower of Ridgeview. The vineyard is on a steep slope, south-east facing. The climate is overall a little cooler by 1 to 3 degrees and wetter compared to Champagne. With global warming the climate in England is very similar to Champagne, 30 years ago. Q: What has sparked consumer interest in English Sparkling Wine? A: Not many sparkling wines have challenged Champagne in style and quality. I think there are more wine professionals in England and new equipment, new investors, and also wineries are gaining credentials. The wine is made in the classic Champagne method and the quality of the wine is making people say, “Hold on. This is just as good as Champagne” but with better value. Q: What do you want WineCollective members to know about Hart of Gold. A: The sparkling wine expresses something about England and Englishness. The authentic and classic label draws from England’s medieval history. The label is inspired by Richard the Second’s personal symbol, the white hart. In history, the white hart was known to appear in auspicious times. A few years back, I was walking in a park nearby my home and there was a white deer. I used it all to connect the wine, and England’s history. Q: Do you have plans to further expand? Where can Domaine of the Bee and Hart of Gold be found? A: Right now there is a small volume of both. Only 1,500 bottles of the Hart of Gold was produced and only 4,000 of the Domaine of the Bee. We are looking to purchase nearby vineyard blocks and increase producition. Right now, the wine is exported to Denmark and Norway, U.S. and Hong Kong. Q: Do you have a favourite Canadian wine? Have you visited any of our regions? A: I am shockingly ignorant and I plan on fixing that reasonably soon. I have had a handful of ice wine, which I really do like. Journalists have recently been singing praises of Canadian wines and I look forward to trying and understanding Canadian wines and regions. Stay tuned to learn more about Justin and his fantastic wines. Domaine of the Bee and Hart of Gold are coming to WineCollective and Tannic very soon! Keep an eye out, and a fast hand, we have extremely limited quantities that will not last long. *NOW AVAILABLE! 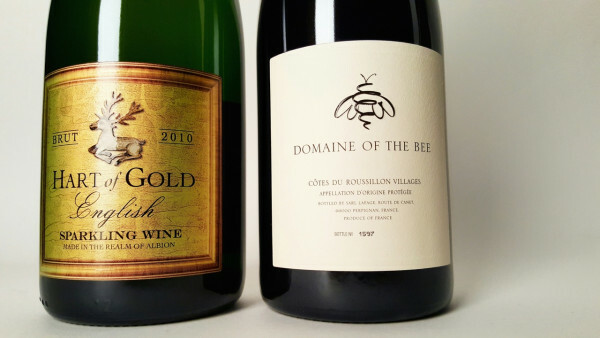 Extremely limited quantities of Domaine of the Bee and Hart of Gold are now available in the WineCollective online store!